Measure Up To Your Peers? There’s no question that consumer demand drives the break-neck speed of technology advancement. Healthcare is no exception, though our adoption of new technologies does not necessarily match that of consumer markets. However, it’s in the best interests of hospitals and other healthcare organizations to bend to consumer demand for convenience. There’s an opportunity for such advancements to be adopted via telehealth. 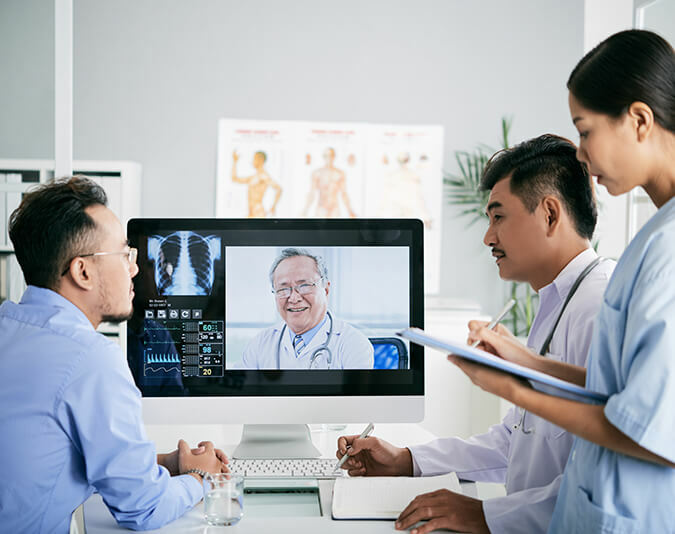 Before exploring these advancements further, let’s first answer the question: What is telehealth? We’ll start with the telehealth definition. The Telehealth definition is presented as telecommunications, technologies, and methods used to enhance healthcare delivery and support. There is an important and, often times, misunderstood difference between telehealth and telemedicine. The latter is the more traditional means of clinical diagnosis that incorporates the tools of telehealth. As a tool, telehealth is an effective means of improving overall healthcare. This is especially true for underserved communities—those that have economic or geographic hurdles preventing the practice of standard healthcare. Outside of those communities, this mobility of healthcare fits naturally into the lives of connected individuals (primarily, millennials and Gen-X, and to a lesser extent, younger baby boomers). Telehealth itself can cover many aspects of technology. It includes four categories that a tool must fall under in order to be considered an actual piece of telehealth technology. Patients and providers are able to communicate via live, two-way interaction using audiovisual technology such as a video chat. Medical data can be transmitted electronically between two or more locations (either between patient and provider or between multiple providers) in order to evaluate cases or render a service. Protected Health Information (PHI), like vitals and other medical data collection, are transmittable electronically to a provider in a different location. The hardware, such as smartphones, tablets s, and other mobile devices as well as the software applications that support healthcare practice and education. Hurdles, of course, exist in the adoption of any technology. In rural areas, the availability of broadband connectivity may continue to limit patient access to telehealth. The financial component, especially for smaller organizations is a key factor as well. That combined with future regulatory requirements will have unknown implications on its successful deployment and use across the U.S. Additionally, the growing threat of IT vulnerabilities and aggressive hacking means strong safeguards should be in place as by its nature, requires network connectivity. 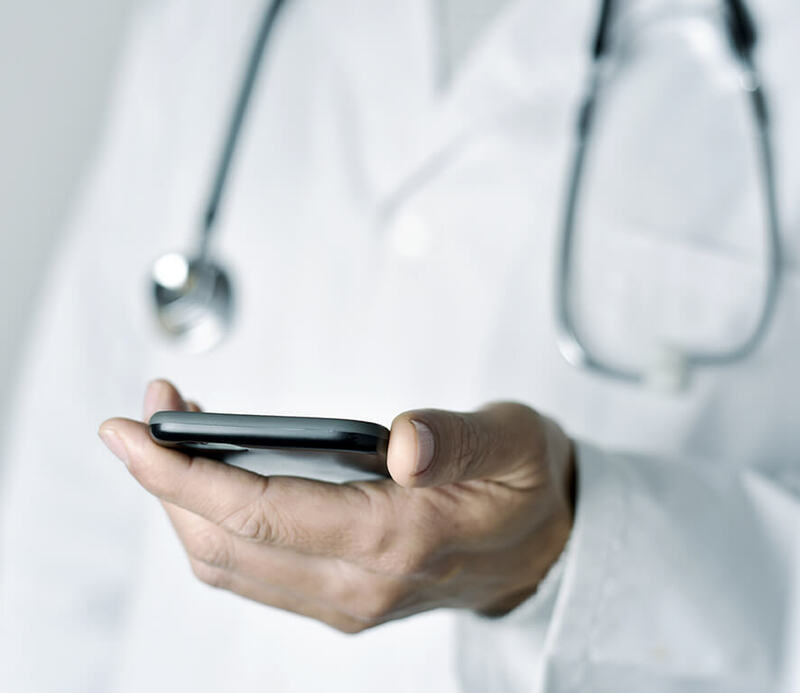 Our HIPAA-compliant secure texting and clinical collaboration platform has evolved. We’re always seeking to respond to what’s next in healthcare IT. We’ve been working to become a strategic part of patient-centered telehealth. In the coming months, we’ll be releasing new advancements to improve overall patient engagement and care. To learn more about how we plan to do this, contact us today.